Forget the Apple Watch. Put a Leatherman on Your Wrist Instead. I have long held great respect for Leatherman. The company created the entire genre of multi-tools more than 30 years ago; continues to produce durable, high-quality tools today; and does it all right here in the USA at its factory in Portland, Oregon. 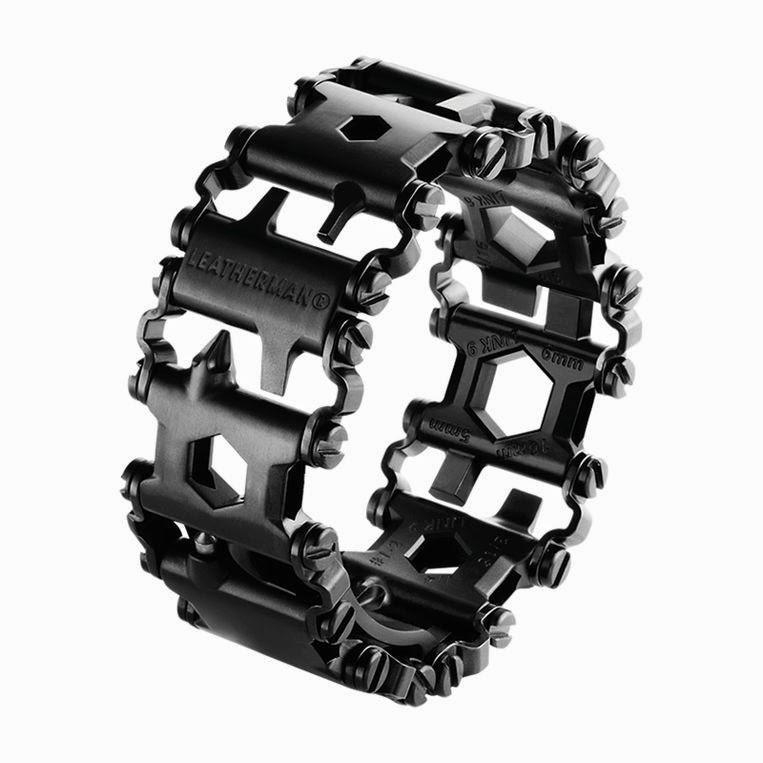 On top of all that, Leatherman continues to innovate in new ways. Their latest creation is the Tread (pictured above), a bracelet composed of interconnected steel links, each one featuring a different set of tools, including multiple screwdrivers, hex wrenches, a small cutting hook, and more. All told, the Tread contains 25 individual tools and weighs in at 5.3 ounces. It can be adjusted in quarter-inch increments to fit your wrist and, unlike other Leatherman multi-tools, the Tread is airplane safe. Available in both black and stainless steel, the Tread isn’t an inexpensive fashion accessory—it runs $150 to $200, depending on style—but it is distinctive and provides an industrial counterpoint to the teched-out smart watches rolling out from Apple and the like.